This year in February we observed the seventh death anniversary of my beloved brother Musa Khankhel Shaheed. We have yet to see any progress into his murder case. The committee formed by the government to probe the dastardly killing has not informed us about the investigations so far. This is unfathomable keeping in mind that relative peace has returned to Swat valley for so long now. We have a valid compliant against the government. They are not doing anything to reduce our pain. Keeping the murder probe aside, the former PPP government led by Asif Ali Zardari had promised us a piece of land in Islamabad; even this has not materialise yet. This should not have been difficult for a government, but even if it can’t keep this simple promise how can it be serious in getting to the murderers. Musa Khan Khel’s family only wants justice and they have not yet got it. Musa Khan Khel was a brave journalist who always strived for exclusive news. He joined journalism in the year 2000 when the evil of militancy started rearing its ugly head in the picturesque Swat valley. His parents, brothers and sisters and family till today remember him fondly. Can you imagine that I have not been able to stay in my parent’s house even since this cold blooded murder. I only go there to visit my parents during daytime. And whenever I go there we all somehow remember him and start talking about his life made short. We even today feel that as if we were grieved today. Months after each February get difficult for us to spend. People start forgetting about their dead with time but we can’t do that. Each February reminds us of him and the unfinished agenda of bringing his killers to justice. You can’t even imagine my state while writing this. I can’t stop my tears. If younger brother cries so much even today, you can imagine the state of his parents when their beloved son was killed in February 2009 while covering a rally of hardline Maulana Sufi Mohammad in Swat. He was associated with a private news TV channel. In the past 10 years, 370 journalists were murdered around the world; in 90 per cent of cases, there are no convictions. United Nations and several human rights organisations say these unchecked, unsolved murders of journalists are one of the greatest threats to press freedom today. The author is younger brother of late Musa Khan Khel. It is really terible and sad that most of the murder cases of the journalists are unsolved and there is no headway or any clue that who were involved or behind these henience crimes. I can feel and understand the pain of the victims families because my own elder brother Islamabad based senior journalist Resident Editor of Pakistan Press International (PPI) news agency and former bureau chief daily The Frontier Post Malik Muhammad Ismail Khan in his age of 53 was brutally murdered under mysterious circumistances during dictatorship regime of General Musharaf by unknown assailants in Islamabad the Federal Capital of Pakistan at midnight on 31st October 2006, near his office and according to the police his dead body was found in the morning on 01st November from the green belt area of F-6/1 not far away from Shaheed-e-Millat Road exact where the National Press Club building is situated in these days. Kohsar Police Station registered a FIR No. 466 dated 01/11/2006 under section 302/34 PPC against the unknown murderers but even after passing ten years the murderers are still at large and Islamabad police couldn’t find that who were involved or behind the brutal murder of an upright senior journalust. Federal Investigation Agency (FIA) also done a separate inquiry and submitted a report to the police department but we the family members had no access to read the FIA’s inquiry report even. Malik Ismail had no enmity and personal conflict with anyone and also had a very good reputation as an accommodative and well mannered in the community of journalism. He was such a democrat and a thorough gentleman who always worked for the positive image of “independent journalism” in Pakistan. He was very well known, honest, upright, fearless and a conscientious professional journalist who was widely admired and respected in the community of journalism for his qualities of professionalism and character. Muhammad Ismail Khan born on 14th February 1953 in village Daurdad, tehsil and district Campbellpure (new name is Attock now) in a respectable family. His late father Muhammad Yaqoob Khan was an activist of Pakistan Movement and a supporter of Mohtarma Fatima Jinnah Madr-e-millat in presidential election against General Ayub Khan. M Ismail Khan started his career in journalism as a correspondent of Roznama “Taameer”, and PPI news agency from his native home town Attock (Campbellpure) in 1976 and worked his way up to the Peshawar and Islamabad as a Bureau Chief and Editor with different media organizations. He was a staff reporter of the daily The Muslim, Pakistan Times, and Frontier Post. Later on joined (PPI) as a senior staff reporter in Islamabad. 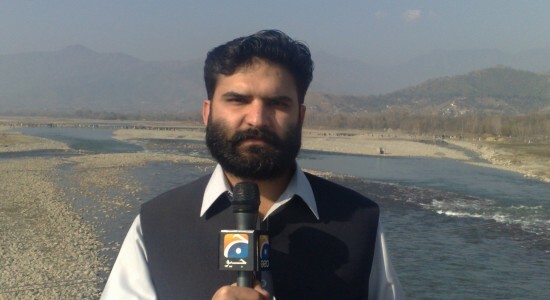 He worked as a Bureau Chief (PPI) Peshawar, Bureau Chief daily the “Frontier Post” in Islamabad, Special Correspondent and Columnist of the daily “Mashriq”, Chief Reporter “Online News Agency”, Bureau Chief and Resident Editor of “(PPI) News Agency”, and also worked as a script writer for the Radio Pakistan. He was very famous for supreme court’s reporting and also Parliament, MRD and other political struggles in Pakistan. He also covers foreign office and diplomatic beats as well. He was very soft spoken and a professional journalist who gave his life for the great cause of freedom of press in Pakistan. Our family is devastated due to his sudden death and it is more sad that mother of martyred journalist passed away in 2010, younger brother a poet and writer Muhammad Khateeb Khan in 2013 and his wife Mrs Ismail Khan in January 2016 whith a grief and sorrow that the killers of Senior Journalist couldn’t traced out by the police. We know our dear brother will never come back to us but the justice should be done. Even after passing ten years the murder case is still unsolved and murderers are still at large. We don’t have any hope from the police that they will find any culprit but the murderers will never escape from the justice of God and one day they will be punished. Malik Ismail gave his life for the great cause of freedom of press in Pakistan but unfortunately the destination of freedom of press is too far and journalist community is still working under the line of fire.